Open only Monday to Friday. A minimum of three days stay. 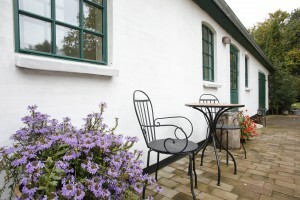 Affordable accommodation in peaceful surroundings only 30 minutes by car from Copenhagen. 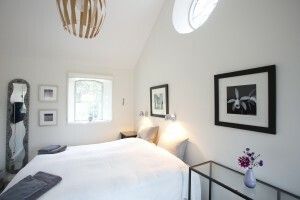 The perfect base for trips in the Copenhagen Area – North Sealand. Tasteful double rooms with private outside sitting area. 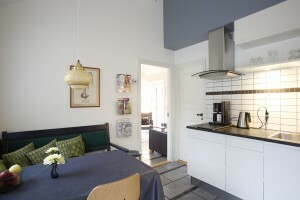 Double room (shared bath): 460 DKK/62 Euro – Two rooms share bath and kitchen. Naturly is Travellers Choice on Tripadvisor. Explore the stately forests with all the Stone Age tombs and relics, walk along the beautiful coastline or visit one of the many interesting castles and art museums in the area. Enjoy also the sights of Wonderful Copenhagen. B&B Naturly is a hiking and walking friendly accommodation. The hosts are experienced hikers and orienteerers who have travelled around the world and appreciated rural surroundings and the homely atmosphere of private homes. Happy now to welcome guests from all around the world to a cozy cottage by the forest and gladly offers his help with tour planning and maps.